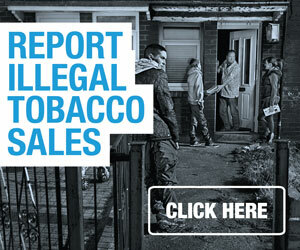 The sale of illegal tobacco helps children in your local area to buy cigarettes and get hooked on smoking. It also helps to fund the local criminals who supply it. CHILDREN: It makes it easier for children to get hold of cigarettes and to start smoking; 55% of North East children who smoke buy illegal tobacco and 73% have been offered it. Children are often aware who is selling it locally and at pocket money prices. Even if you don’t think local sellers are selling to kids, many are. CRIME: The illegal tobacco trade is linked to criminals. People supplying it locally are often involved in drugs or loan sharking. Buying it means supporting crime and can put children into contact with criminals. HEALTH: Cheap tobacco encourages smokers to keep smoking and to smoke more, and can break down their willpower to quit. It robs local hospitals and schools of money for vital services. Do you know where illegal tobacco is being sold? 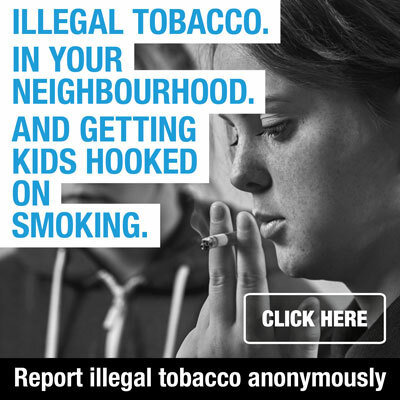 Report it anonymously here or call the Illegal Tobacco Hotline on 0300 999 0000 – its quick, easy and completely anonymous.